POLFLAM has its own testing laboratory and is the owner of a fire-resistance testing furnace, which is in compliance with the technical standard PN-EN 1363-1. In our testing furnace, we test random product batches leaving our factory, and complex solutions, based on POLFLAM glass. The testing follows the most restrictive research regimes and is carried out in the temperature spread up to 1100ºC. 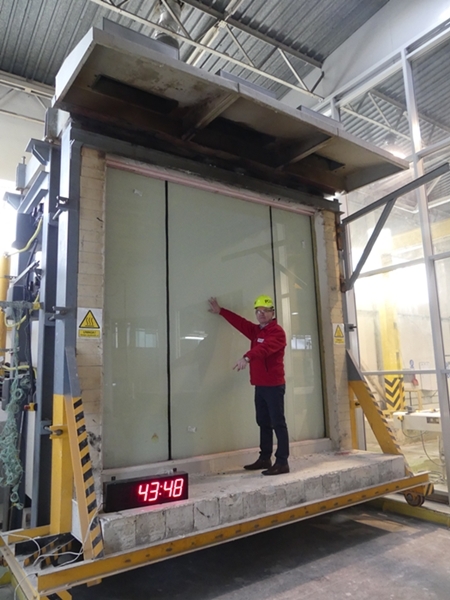 The POLFLAM laboratory also contains facilities for testing the glass resistance to UV radiation, response to surrounding temperatures and also resistance to pendulum impact. We test not only the new solutions but also selected batches of glass sampled from the production line and those leaving the factory. POLFLAM's lab is also used by the company’s business partners that apply POLFLAM glass in their systems. Entire systems in various configurations are subjected to tests in the testing furnace.